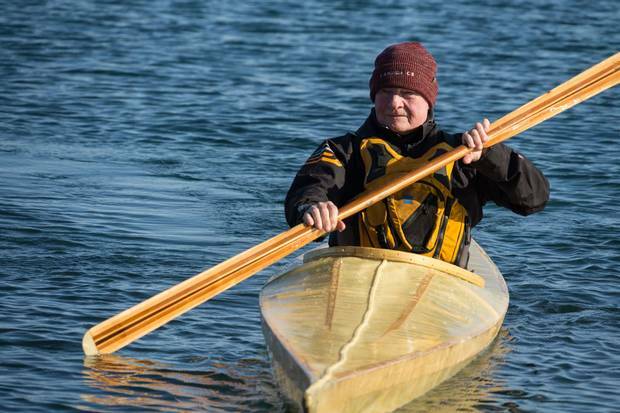 Governor-General David Johnston paddles a kayak at Pearce Point, Northwest Territories. The 76-year-old is retiring as the Queen’s representative in Canada, making way for former astronaut Julie Payette. The Rt. Hon. David Johnston, CC, CMM, COM, CD, FRSC (hon), FRCPSC (hon), 28th Governor-General of Canada, has taken up golf. This is hardly unusual for one facing retirement following a long and accomplished career, but Mr. Johnston is hardly typical of those who would fade – or duck hook, for that matter – into the white-belt world of searching for lost balls. "Like anyone else who has played a lot of sports at fairly high levels," he says, "I don't much care for things I can't do well." 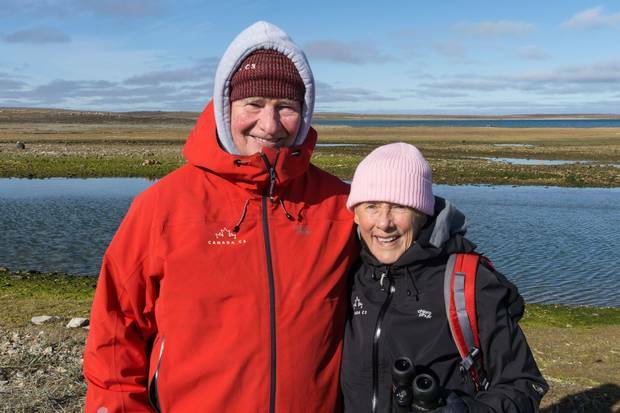 And so, the 76-year-old soon-to-be-former-governor-general has embraced his wife Sharon's newfound passion for the game a bit reluctantly. In a close-cropped field to the side of their country home on the far outskirts of Ottawa, the Johnstons have planted flags on "greens" at both ends to create their own miniature course. She stands by one flag and hits balls toward the other; he fields her shots and pitches them back. "I can just imagine the headlines," he jests. "Ex-GG kills wife with golf ball." "We could wear our bicycle helmets," Mrs. Johnston suggests with a wry smile. Mr. Johnston raises his eyebrows. Earlier this fall, Mr. Johnston joined the Canada C3 expedition on its journey to circumnavigate Canada, commemorating the 150th anniversary. 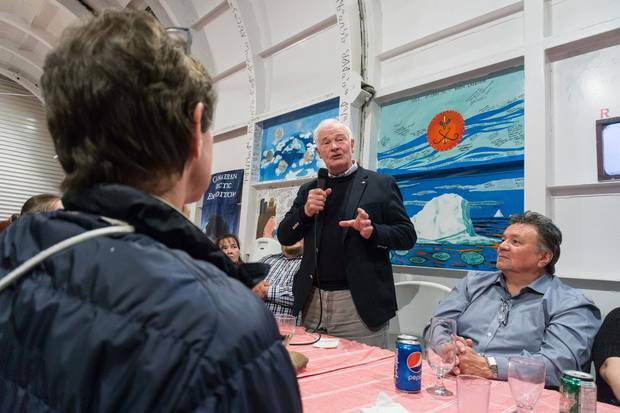 The Globe joined Mr. Johnston on the former icebreaker Polar Prince for part of the voyage. Here he is near Kuglugtuk, Nunavut, on Sept. 3. 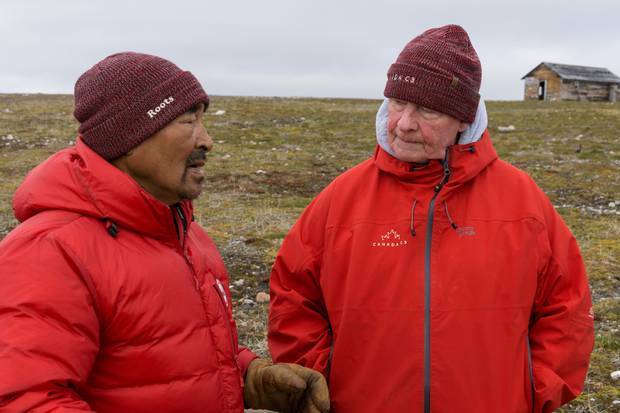 Mr. Johnston speaks with Roger Hitkolok at Bernard Harbour, Nunavut. Mr. Johnston, well-travelled within Canada, has led more than 50 missions to countries all over the world, making him the most travelled governor-general in Canadian history. Mr. Johnston and his wife, Sharon. The couple were high-school sweethears who met when they were 13 in Sault Ste. Marie. After seven years as governor-general, Mr. Johnston and his wife are moving permanently to a farm in Ontario’s Lanark County. He will join a law firm as a consultant and will write rather than practice law. 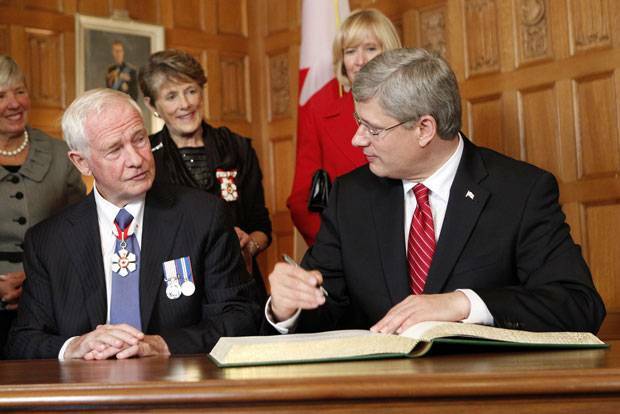 Innovation was one of the pillars David Johnston chose to concentrate on when he became Governor-General of Canada on Oct. 1, 2010, appointed by the Queen on the recommendation of then-Prime Minister Stephen Harper. The appointment was to be for five years. It would later be extended to seven years so that he would be on hand for any constitutional complications that might come of the fall 2015 federal election and also so that he could oversee the Canada 150 celebrations of 2017. He now leaves office as the third-longest-serving GG in Canadian history after Vincent Massey (1952-1959) and Georges Vanier (1959-1967) and just ahead of Roland Michener (1967-1974).Mr. Johnston chose as his motto " Contemplare Meliora" ("To Envisage a Better World") and announced that the three pillars of his mandate would be strengthening learning and innovation, encouraging philanthropy and volunteerism and supporting family and children. "We are a smart and caring nation," he said in his installation address. "A nation where all Canadians can grow their talents to the maximum. A nation where all Canadians can succeed and contribute.… There is much work to be done to fully achieve our vision." There is, of course, much to be done in this complicated country that will forever be a work-in-progress. It would be fair, however, to say that David Johnston leaves both office and country in better shape. He worked hard at both. Mr. Johnston's longtime friend James Dwinell III, former chair of Cambridge Bancorp and once a teammate on the Harvard University hockey team, has called the retiring governor-general "a grinder with a capital 'G'…total, total hustle." A grinder in college hockey, still a grinder at Rideau Hall. His statistics are impressive in both: he captained Harvard to a 21-3-2 record as the Crimson took the 1963 conference championship, defenceman Davey Johnston setting up the winning goal in overtime with his record 25th assist of the season. As governor-general, Mr. Johnston has overseen more than 600 special events at the official residences in Ottawa and Quebec City. As commander-in-chief, he has attended 330 military events. He has led more than 50 missions to countries all over the world, making him the most travelled governor-general in Canadian history. 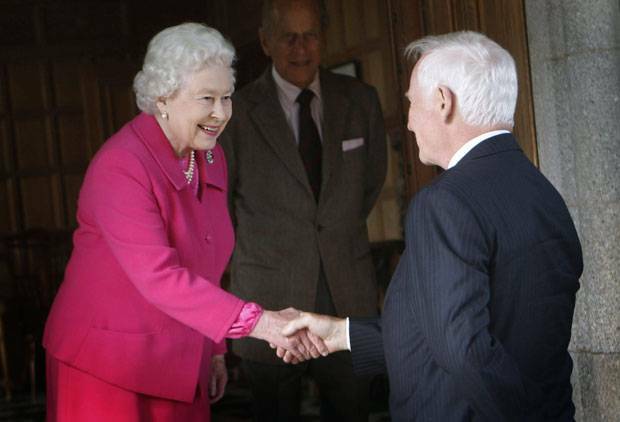 He and his wife Sharon have hosted some five dozen foreign dignitaries on state, royal and working visits. He has delivered more than 1,400 speeches and awarded tens of thousands of honours, medals and special commemorations. The Johnstons have visited more than 130 diverse communities across the country and welcomed 1.5 million Canadians to Rideau Hall and the Citadel. The Canadian honours system has been overhauled and new honours, such as the Polar Medal, created. In Mr. Johnston's spare time, he wrote two books on Canada and innovation. Mr. Dwinell also remembers Mr. Johnston as the Crimson's MVP who worked as hard in practice as he did in a game, a player who never took a shift off, the ultimate team player. Mr. Johnston endeared himself to the Rideau Hall staff almost immediately when, in the very first week of office – generally a time of great pomp – the Johnston's dog, Cato, ran into a family of skunks under the back porch of Rideau Hall. The newly installed governor-general slipped into his swim trunks, filled a tub with tomato juice and took a scrub brush to Cato long into the night to ensure no one's nose would be out of joint come the next day's ceremonies. "Things like that kind of ground you," says Stephen Wallace, secretary to the governor-general. 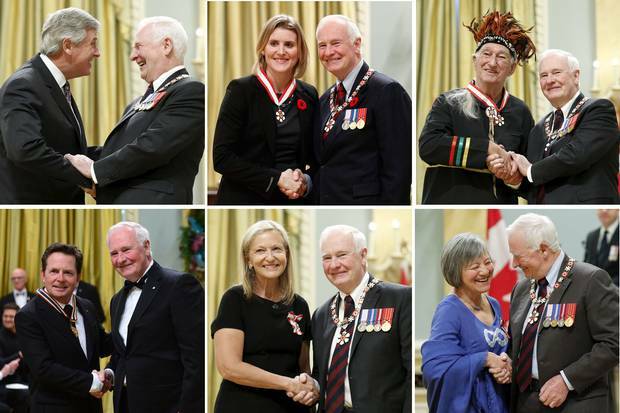 Mr. Johnston has awarded tens of thousands of honours, medals and special commemorations during his tenure, inducting people into the Order of Canada and issuing Governor-General’s Performing Arts Awards. It is, in its way, a Canadian version of the old dime-novel tales of Frank Merriwell. Not quite rags to riches, but a story that journeys from humble beginnings to the highest office in the land. David Lloyd Johnston was born in Sudbury and grew up in Sault Ste. Marie, where his father ran a small hardware store. The family lived on Woodward Avenue while Sharon Downey, Mr. Johnston's high-school sweetheart – they met at 13 – lived on well-to-do Summit Avenue, as he puts it "on the other side of the tracks." Davey Johnston was brilliant in school and also in sports, winning championships on a hockey team that also included future Hall-of-Famers Phil and Tony Esposito, as well as former NHL defenceman and general manager Lou Nanne, who remains a close friend. Like most Canadian youngsters, he dreamed of one day playing in the NHL and it was a dream with some possibility. At one point, scout Jimmy Skinner of the Hamilton Red Wings junior team came to call and was invited into the Johnston home for tea. When the scout conceded that only a couple of the boys were completing high school while they played and that he thought there was a university in the city, but couldn't name it, Mr. Johnston's mother handed the visitor his hat rather than a teacup. "I'm sure you have other people to see this evening," she told him as she showed him to the door. When Mr. Johnston wasn't playing hockey he was quarterbacking the high-school football team. They won the all-Ontario championship in 1958, the Soo up against a top Hamilton team in a game played at Toronto's Varsity Stadium. 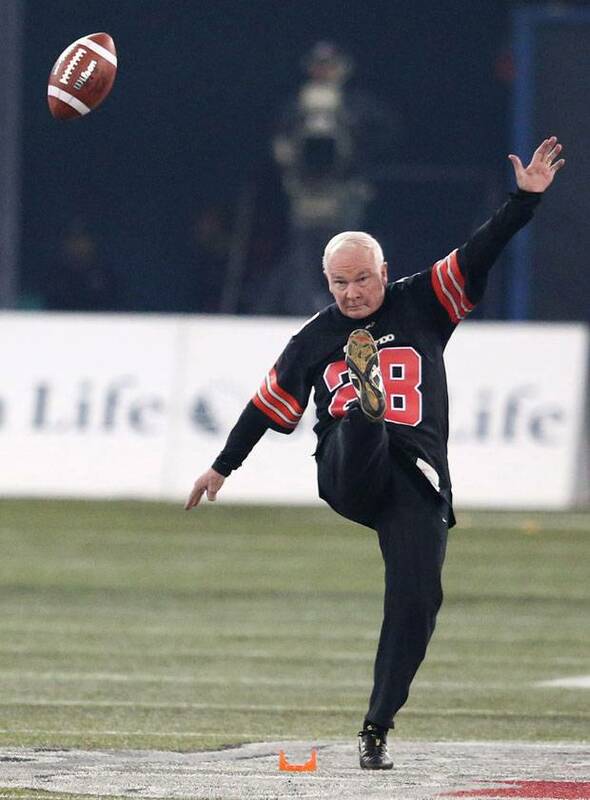 The winning quarterback from Northern Ontario went 15-for-16 in passing, still convinced to this day that a gust of wind coming in off Bloor Street ruined what otherwise would have been a perfect game.Now, though he's well into his 70s, the competitive streak has never left him. When on the farm, he likes to begin each day with ten laps around the pond. He is determined to play golf well even if he never learns to like the frustrating game. Such drive was soon apparent to the Rideau Hall staff. In the fall of 2012, he was asked to perform the ceremonial kickoff for the 100th Grey Cup, to be played between the Toronto Argonauts and Calgary Stampeders at Rogers Centre in Toronto. He wanted to do at least as well as former GG Roland Michener and former Prime Minister Pierre Trudeau, both admired for their athleticism. 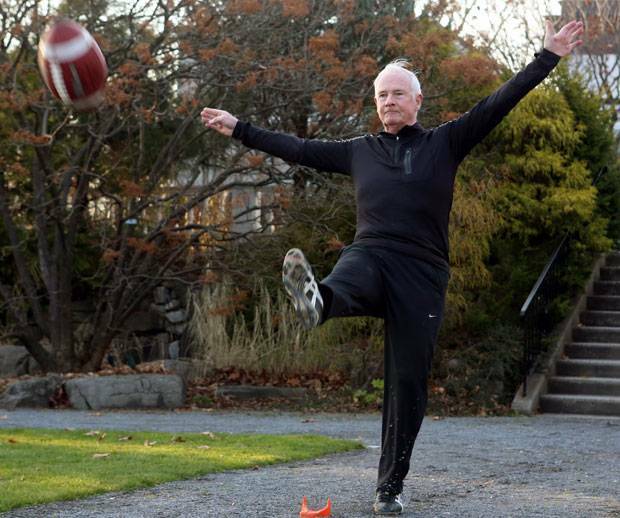 Wayne Wouters, then clerk of the Privy Council, was meeting regularly with Mr. Johnston at the time and recalls that for weeks before the event he would find the then 71-year-old governor-general out on the grounds of Rideau Hall "practising his kickoffs."Mr. Wallace also remembers how "the aides-de-camp and I were running all over the grounds shagging balls for him. I think he kicked 40 in a row one lunchtime." In the days leading up to the kickoff, Mr. Wouters noted that the GG was moving about with a discernible limp. "In his enthusiasm to do a good job, the man overextended himself and strained some muscles in his kicking leg," says Mr. Wouters. "Fortunately, he sufficiently recovered and made a 'reasonable' kickoff – though deep down I think he felt he would have done better if it weren't for that damn injury. The competitive juices still ran strong." He had sports and school while growing up in the Soo, but also a long series of jobs, beginning at age nine. He delivered papers. He worked for a nearby drugstore that also sold English bone china that came heavily packed in large casks. Because he was so small, he could crawl inside the barrels and carefully remove the china from the straw. At 11, he began washing cars for a local car dealership and, once finished, would then drive the cars out of the garage and park them in the street. The police told him if continued to do that, he should at least have the courtesy of not doing it right in front of them. The owner of the small Volkswagen dealership, a German who was great with engines and terrible with people, eventually left customer relations to the capable youngster. "I learned to deal with the public," Mr. Johnston says. He also learned to type so that he could write up the warranty claims. Mr. Johnston realized early on that it was going to be a financial struggle for the family if he wished to continue his education beyond high school, which he was determined to do. "I knew I would have to save my money if I wanted to go to university" he says. When he grew older, he spent seven summers working for Algoma Steel and after a full day at the plant would head to a radio station where he would re-write the wires and read the news. The station also sponsored a baseball team and told him he would still get his 70-cents-an-hour if he played catcher for the team, which he happily did. "Did that make me a pro?" he asks facetiously. "I don't know." When high school came to an end, Sharon Downey headed off the University of Toronto, where she graduated as a physical and occupational therapist. Her boyfriend could have gone to any Canadian school of his choice but his long-time dream had been to go to Harvard. He would, however, need a letter of recommendation to send in with his application and the school principal refused to write one, saying if he went to the States he would never return. His high-school football coach, however, was happy to write the letter, but he also warned the young athlete, "You've been a really big fish in a very small pond for too long, and you're going to get your head knocked off if you go down there – and it will be good for you." It happened quickly. He went out for the Harvard football teams and discovered he was but one of more than a dozen players who thought they should be throwing the football for the Crimson. "I thought I was pretty good," Mr. Johnston recalls. "There was a tire hanging from a rope off the field goals about 50 yards down the field. The coach says 'Throw the ball through it.' The first guy up throws right through the tire. The second guy up hits the rim. I knew I wasn't going to be the quarterback." In hockey, however, he was still a star and would one day be named to the Harvard Athletic Hall of Fame. The school gave out no sports scholarships but there was help based on financial need and Mr. Johnston qualified. He also had his summer jobs back home, as well as working two nights a week during the school year, re-stacking shelves in the Harvard library. 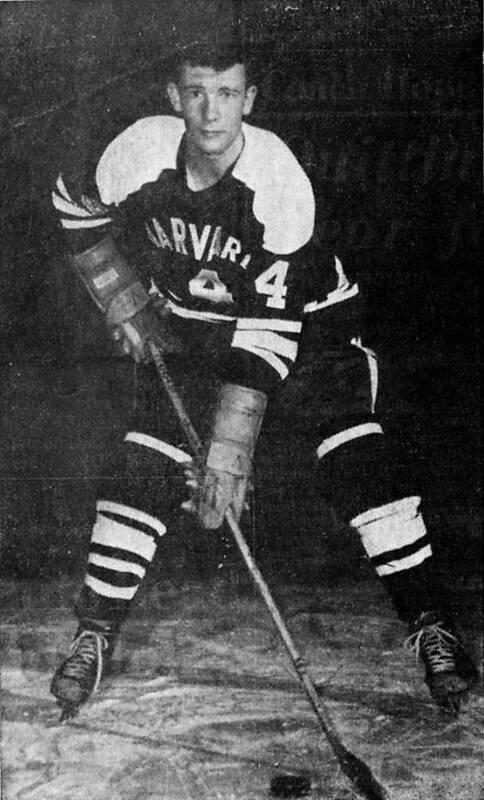 Mr. Johnston in his hockey-playing days at Harvard. His sports career almost came to an end after he had suffered a third concussion, two in football and one in hockey. The family doctor gave him a choice: Wear a helmet or stop playing. He chose the helmet despite the ribbing that head protection was subject to in those times. In late 2016, the governor-general hosted a special conference on concussions, declaring that head injuries in sports are a "public health issue." Mr. Johnston was an early advocate of year-round fitness and at Harvard would often jog with Erich Segal, an undergraduate who had ambitions of becoming a writer. Years later, Segal would pen Love Story, a bestselling romantic novel and Hollywood movie ("Love means never having to say you're sorry") that includes a dashing character called "Davey Johnston" who just happens to captain the school hockey team and is so hyper-competitive he plays with tears in his eyes as the team loses the final game of the season. Following Harvard, Mr. Johnston toyed briefly with attending the training camp of the Boston Bruins but chose instead to head overseas to study law at Cambridge University. He would finish his legal studies at Queen's University in Kingston, thereby proving wrong the high-school principal who thought he would never return to Canada. Following graduation, he signed on with the prestigious firm of Osler, Hoskin & Harcourt. But he never went to work for them. "I've never hung out my shingle," he says. First, Queen's kept him on to teach law. Then, the University of Western Ontario made him, at 31, the dean of its law school. In 1979 it was off to McGill University in Montreal, where he served several years as university principal and, wisely, learned to speak French. He was soon a natural choice for moderating political debates, the most famous of which was the encounter between then Prime Minister John Turner and Conservative leader Brian Mulroney ("You had an option, sir") that turned the 1984 federal election in favour of Mulroney's Conservatives. In 1999, Mr. Johnston moved to the University of Waterloo to serve as president. "My life has been building institutions," he says. "To make them stronger, make them function better." Certainly the office of the governor-general functioned well under his watch. His seven years at Rideau Hall might best be described as dignified and … quiet. No constitutional debates over the prorogation of Parliament, no messy minority government results requiring the Queen's representative to take tough decisions. In the opinion of constitutional expert Kenneth J. Munro, professor emeritus at the University of Alberta, Mr. Johnston's run is worthy of high praise. "His dedication to his constitutional duties was most impressive," says Prof. Munro. "Although he was appointed while a Conservative was prime minister, he made a seamless transition in dealing with a Liberal government. He truly showed he understood his office as being above politics… This constitutional role of treating his prime ministers in a similar fashion might seem natural, but it is not. I have not heard anyone criticize he or his wife for being too cozy with the Conservatives or the Liberals. He has treated each of his prime ministers with the same respect, without any hint of partisanship. 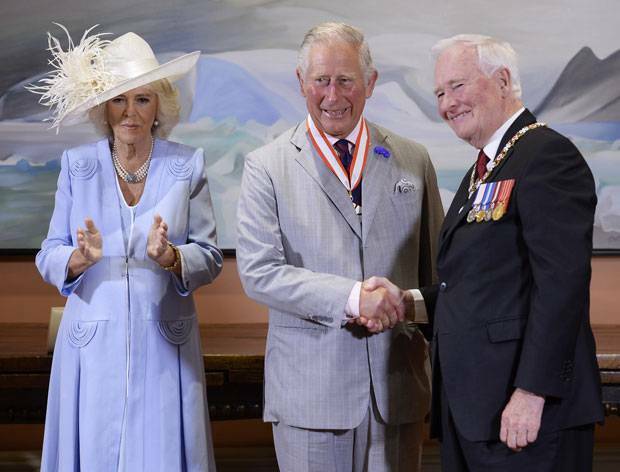 "When Prince Charles attended the Canada Day celebrations on Parliament Hill this summer, the Prince of Wales went out of his way to praise Mr. Johnston's time as governor-general, saying, "He has earned great respect and gratitude as a modern nation-builder whose commitment to the youth of Canada and reconciliation is exemplary." As far as Massey College's Institute for the Study of the Crown in Canada is concerned, Mr. Johnston has been a "model" GG, combining "the dignity of Vincent Massey with the compassion of Georges Vanier and the innovative zeal of Adrienne Clarkson." The most controversial moment during those seven years, bizarrely, might be Mr. Johnston's gently taking the Queen's arm to help her down the red-carpeted stairs at Canada House during a July celebration of Canada's 150th birthday. British tabloids called it a "breach of protocol" – quickly dismissed by Buckingham Palace – and one American network reported that he gave the "excuse" that the carpet was loose. "The carpet was loose," says Mr. Johnston. "I thought she was going to stumble. "I say to myself, if hadn't reached out for her elbow my mother would have reached down from heaven and given me a swat in the ear." July 19, 2017: The infamous breach of protocol where Mr. Johnston touched the arm of Queen Elizabeth II at a visit to Canada House in London. 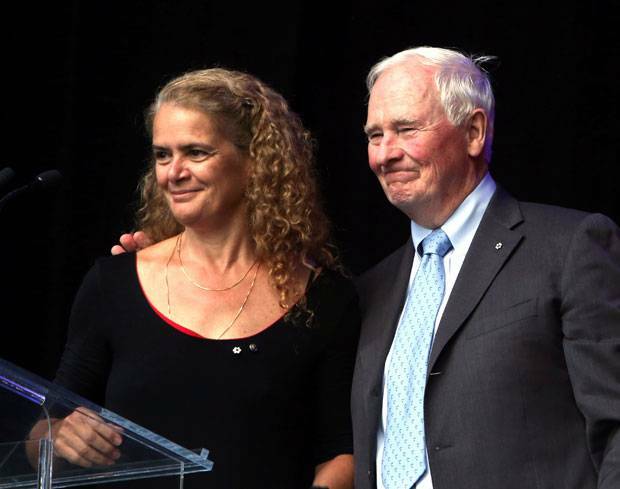 It is late summer at the farm where David and Sharon Johnston will move to permanently after the investiture of the 29th Governor General of Canada, former astronaut Julie Payette. A local farmer has taken off the winter wheat that was planted in a far field and the air is rich in the smell of fresh-cut crops and damp soil from a long summer of rain. He walks in the morning with the dogs – the retriever Rosie, the rescue mutt Lucky (Cato is no longer around to tangle with skunks) – and he worries that they will tear after coyotes that from time to time appear on the edge of the woods. Earlier in the summer the Johnstons sighted a mother black bear and cubs along one of the trails. It is peaceful, bucolic, the sort of place one imagines retiring to – and yet there are no such intentions for the Johnstons. "I've never worked," says Mr. Johnston with no prompting. "So I don't know what retirement would be. I am still on a one-year leave of absence from my law firm – 52 years so far." For years, the plan had been to return to the Kitchener-Waterloo region, where David had worked at the university and Sharon had boarded and trained horses on a farm they called Chatterbox. "David runs a university," the operation's website read, "while Sharon runs a farm." Mrs. Johnston would love to have returned to that farm, but the five-year appointment to Rideau Hall became seven, somewhat to her reluctance. The farm in Mennonite country was eventually sold after she found a suitable replacement in the countryside west of the capital. "When we were asked to stay on it was instant for me, not for Sharon," says Mr. Johnston. "For her it was a big disruption. She doesn't enjoy the public spotlight. 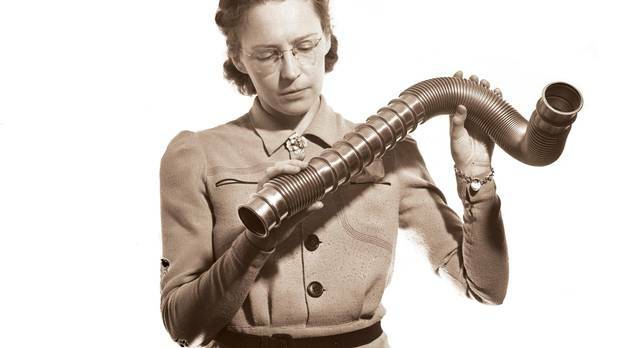 For me it was just part of the job. She's been splendid because she's been herself." 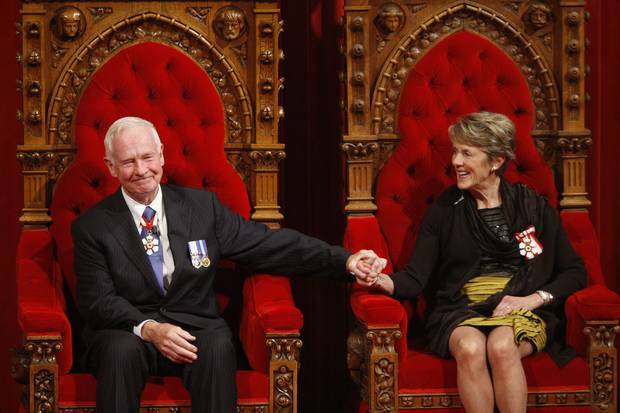 Oct. 1, 2010: Mr. Johnston and his wife, Sharon, sit on the throne after his swearing-in. One of the causes taken up by Mrs. Johnston over their years at Rideau Hall is the mental health of the Canadian Forces. The navy made her an honorary captain for her dedication to the issue. The easy warmth and wry humour of Sharon Johnston has also had much to do with the reverence in which Rideau Hall staff seem to hold the couple. Mrs. Johnston became a published novelist in 2015 when Dundurn Press released Matrons and Madams. The book is the first in a trilogy that examines the shifting social mores of a small city not unlike Sault Ste. Marie in the 1950s, sixties and seventies. David Staines, an English professor at the University of Ottawa University who helped with the editing of Mrs. Johnston's first volume, is a great admirer of the new author. "She has the natural instincts of the true novelist," he says. Speaking to a book club this summer, Mrs. Johnston was asked about the next two volumes and said the second one is almost finished and the third will be entitled The Boy in the Orange Pyjamas. The governor-general, who had accompanied her to the meeting, immediately piped up to say, "I just better be that boy in the orange pyjamas!" Asked by one of the book club members if her husband truly did have orange pyjamas, Sharon Johnston deadpanned: "Yes. He wore them our entire honeymoon – never took them off." As for Mr. Johnston's own future plans, he says, "I actually have more things to do than I can possibly do. My concern now is time." He regrets that he himself came to the job somewhat unprepared and felt he was "winging it" for the first several months, so has reached out to the incoming governor-general, whom they greatly admire. Mr. Johnston and Ms. Payette have known each other since he was at McGill and she was applying for a scholarship. The Johnstons have hosted Ms. Payette and her family at the farm and held long discussions to ensure that she is better prepared than he was back in the fall of 2010. He will join a law firm as a consultant and will write rather than practice law. He is working on a book examining the role of trust in Canadian society and business. He will, of course, continue his lifelong passion for reading – the grandchildren don't call him "Grandpa Book" for nothing. He will continue to chair the Rideau Hall Foundation, a registered charity which he established in 2012 to mobilize people and resources "to tap into our national spirit and help realize our shared aspirations." He also plans to continue working on "making sport as safe as it can be for our children." The decision to stay on in the Ottawa area was simple, given that three of the Johnstons' five daughters live in the region, as well as eight of their 14 grandchildren. The chicken coop at the farm has been "refurbished" as a large playroom, the walls covered in family photographs, including one of the long-ago hockey star wearing jersey No. 10 for the Harvard Crimson. "I've seen so much of Canada through the lens of Ottawa over the past seven years," Mr. Johnston says as he heads back toward the farmhouse and the little two-green golf course. "I've always been very interested in public policy and this is the place for public policy. We have children and grandchildren here. And we like the countryside. "I think my centre of gravity is here." 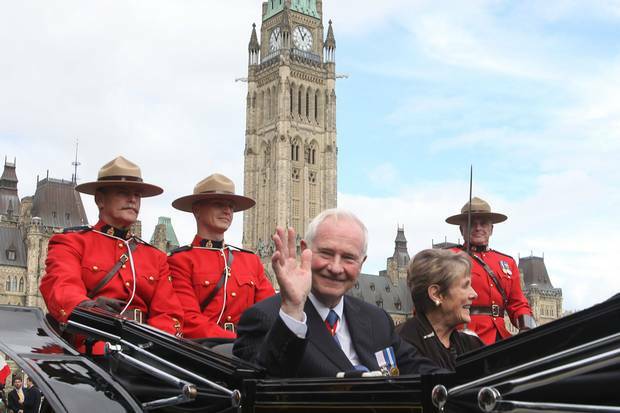 Oct. 1, 2010: Mr. Johnston waves as he leaves Parliament Hill with his wife following his installation ceremony. This is a continuation of a thousand year experiment in constitutional government. If you looked around the world and asked people to name 7-8,10 countries that work pretty well, where the populace is largely satisfied, chances are on your list you would have Norway, Sweden, Denmark, UK, Netherlands, New Zealand, Australia, Canada – all constitutional monarchies with parliamentary democracies. Coming to understand Canada. Seeing the country in a different light. I always thought it was a good country. I didn't realize it is as good as it is. 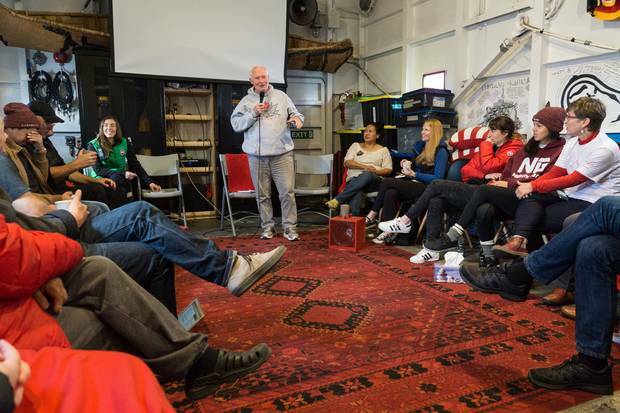 Having a sense of that goodness and that desire to do better has been for me very uplifting – always with a constant sense that we can do better. I think that's the constant theme of Canada, that almost all of us have come from other places without status, very often without property and very often from oppression determined that life should be better for our children. And have worked not only to make life better for our children, but for those around us. 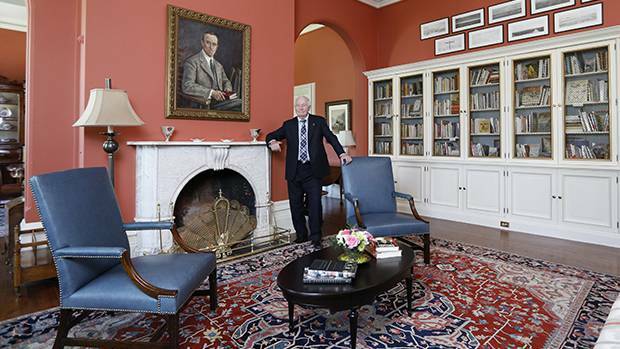 David Johnston’s favourite room in Rideau Hall David Johnston reveals to Anya Georgijevic what he loves most about his home library. Invented in Canada: Book by Governor General, entrepreneur laud’s Canada’s innovators In their book Ingenious: How Canadian Innovators Made the World Smarter, Smaller, Kinder, Safer, Healthier, Wealthier and Happier, David Johnston and entrepreneur Tom Jenkins celebrate the country’s innovators. 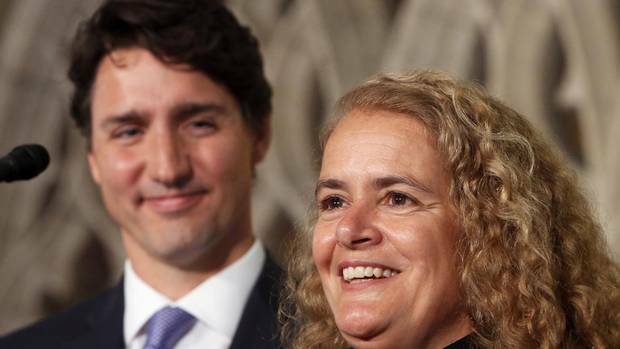 Julie Payette says being governor-general a chance to serve Canada ‘on Earth’ After going on two space-shuttle missions, Ms. Payette plans to use her position to inspire Canadians to embody core values of 'tolerance, openness and working together,' Daniel Leblanc reports.